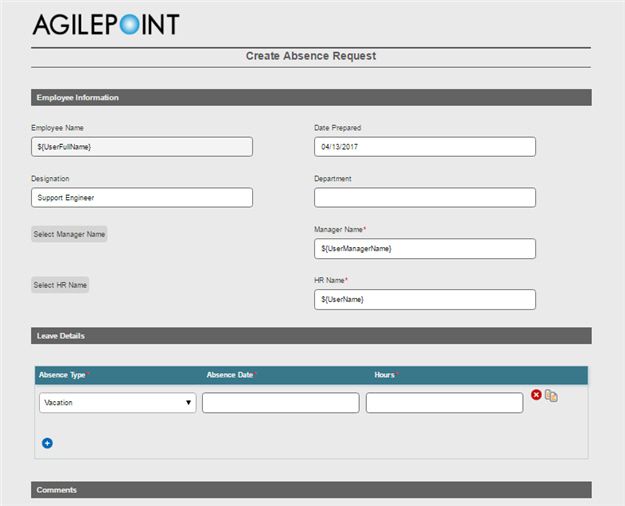 To complete the Create Absence Request eForm and return to the Absence Request process, do the procedure in this topic. 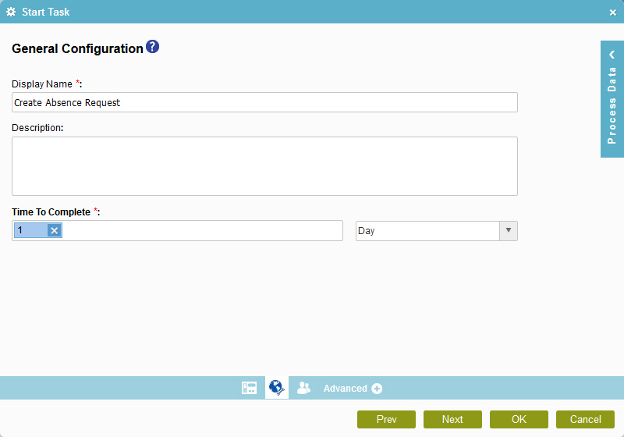 Complete the configuration of all the form controls on the eForm. On the eForm Builder screen, click Save . 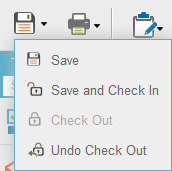 In the Save quick menu, click Save and Check In . 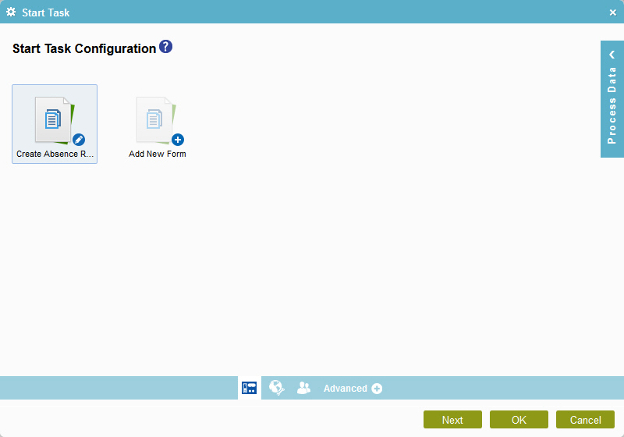 The eForm Builder screen closes and the Start Task Configuration screen shows in the Process Builder. On the Start Task Configuration screen, select the Create Absence Request eForm. In the Display Name field, enter Create Absence Request. The Process Builder shows the process model with the Create Absence Request start task.